Thomas Myers studied directly with Drs. Ida Rolf, Moshe Feldenkrais and Buckminster Fuller. He has also studied less extensively with movement teachers Judith Aston, Emilie Conrad and in the martial arts. His work is influenced by cranial, visceral and intrinsic movement studies he made with European schools of osteopathy.An inveterate traveler, Tom has practiced integrative manual therapy for over 30 years in a variety of clinical and cultural settings, including 10 years in London and traveling practices in Hamburg, Rome, Nairobi and Sydney, as well as a dozen locales in the US. 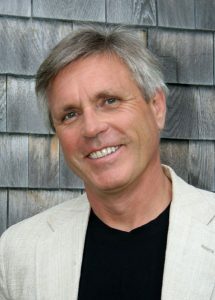 He is a member of the International Association of Structural Integrators (IASI).Author of Anatomy Trains (Elsevier 2001) and a set of supporting videos, Tom has also penned over 60 articles for trade magazines and journals on anatomy, soft tissue manipulation and the social scourge of somatic alienation and loss of reliance on kinesthetic intelligence.A certified Touch-in-Parenting instructor, Tom retains a strong interest in peri-natal issues relating to movement. Propranolol in combination with etodolac is fexofenadine generic online currently being investigated in..